For more than 50 years, midrange and high frequency horns have been the hands-down choice for movie theater sound engineers. From the softest whispers… To the highest impact sound… Hrn drivers have no equal when it comes to clarity and dynamic range. The BIC Formula Theater Series carries on the legacy of the first Formula Series introduced in 1973. They offer an output capability of up to 116dB (live rock band levels), while offering refinements that surpass all of its predecessors. 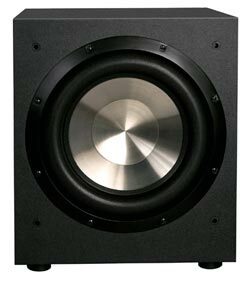 Injection molded long throw woofer; BASH designed amp. Adjustable crossover, volume and auto on/off. Speaker level and RCA inputs. Frequency response: 25Hz-200Hz. 15″ W x 17″ H x 18 1/4″ D. Sold individually. 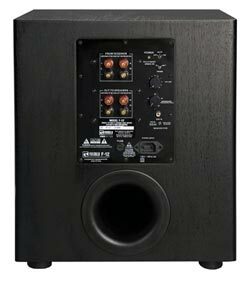 The 12-inch, front-firing F12 powered subwoofer from BIC America incorporates a high current 475-watt peak amplifier designed by BASH Technology in combination with a 12-inch injection molded long-throw woofer. A patented BIC “Venturi” vent eliminates port noise, which is often heard from other subwoofers especially when playing demanding music and videos. The F12 also features an adjustable crossover, adjustable volume control, automatic signal sensing, high level inputs, and both Dolby Pro Logic and Dolby Digital/DTS inputs. Front of the F12 (see larger image). Rear of the F12 (see larger image). Watch in HQ! This is my overview / review of the sub. Please stick around to the end and as always ask any questions you like!